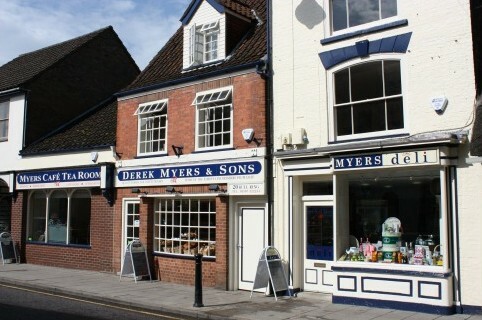 Situated in Horncastle next to the Myers family Bakery & Deli, the Cafe Tea Room offers a large menu of locally sourced quality foods and drinks. 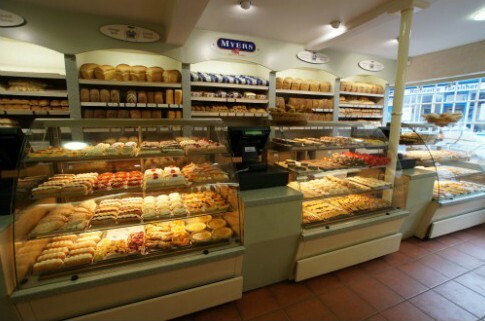 Winner of the Best Coffee shop in Lincolnshire 2013 this family run business ensures the highest standards in cleanliness, food and service. Breakfasts through to Afternoon Teas, all freshly prepared upon ordering with weekly specials available, including their famous award winning Lincolnshire Plum Loaf. Fully air conditioned with full Baby Changing facilities makes this the ideal venue to sit back and relax in their New England style Cafe. Horsefair Walk, The Bull Ring, Horncastle, Lincolnshire, LN9 5HU.